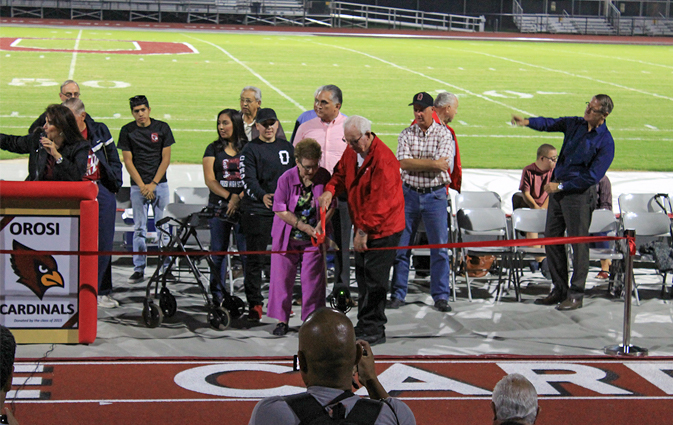 Mrs. George Millhorn and Ed Coats (former athletic director) cut the ribbon. Grand opening for Cutler-Orosi Jt. U.S.D.’s new stadium. 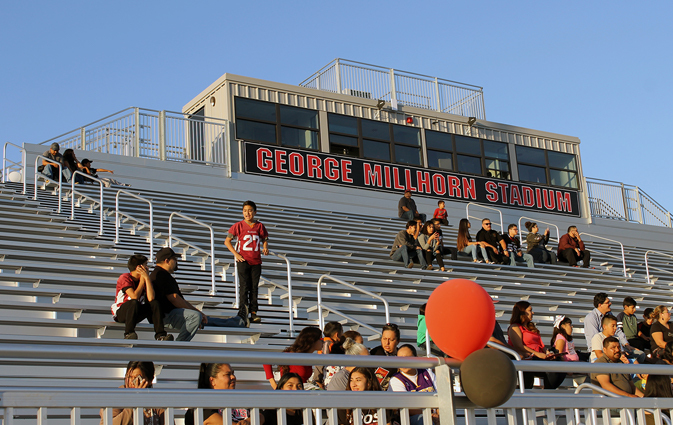 OROSI — Orosi High School and members of the local community celebrated the grand opening of the new George Millhorn Stadium and Ed Coats Field. TETER’s design for the state-of-the-art stadium includes a 9 lane synthetic surface track, natural turf field, over 4000 seat home and visitors’ bleachers, video scoreboard, ticket booth, concessions, and restrooms. Robert Thornton, TETER Partner, was excited to be part of the ceremonies. 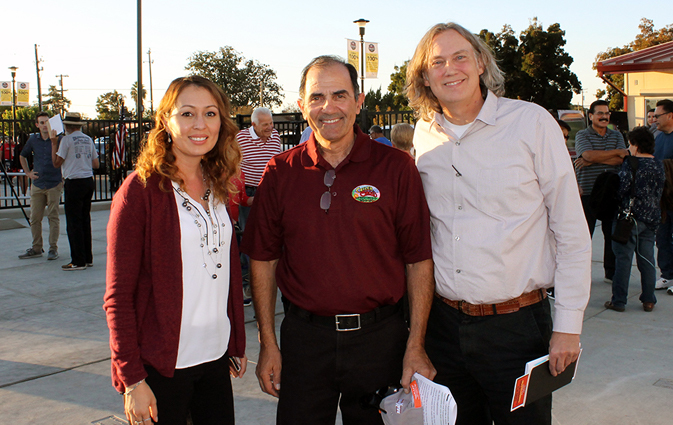 Isela Barcenas (TETER Project Manager for the new Orosi High School Stadium), Raffi Soghomonian (Director of Facilities at Cutler-Orosi Unified School District), and Robert Thornton (TETER Partner). Press box for the new athletic stadium. 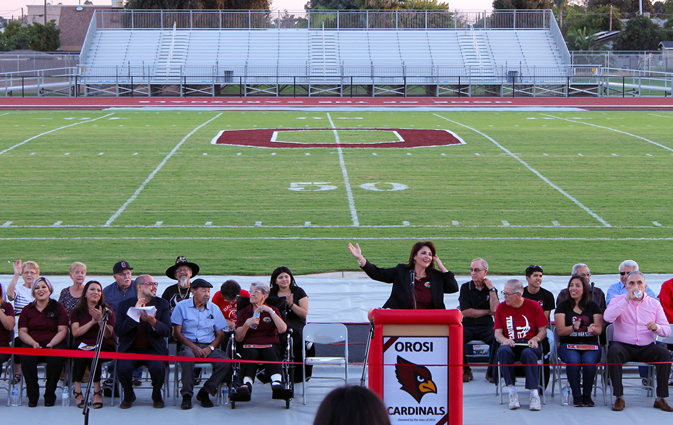 Yolanda Valdez, Superintendent of Cutler-Orosi Joint Unified School District. 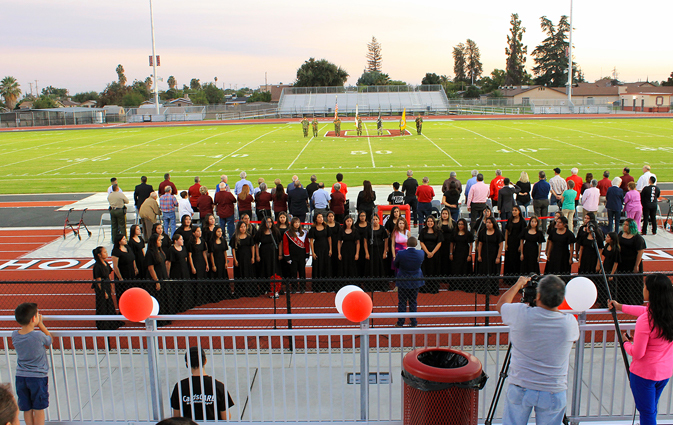 Girls’ Choir performing at the grand opening ceremonies. 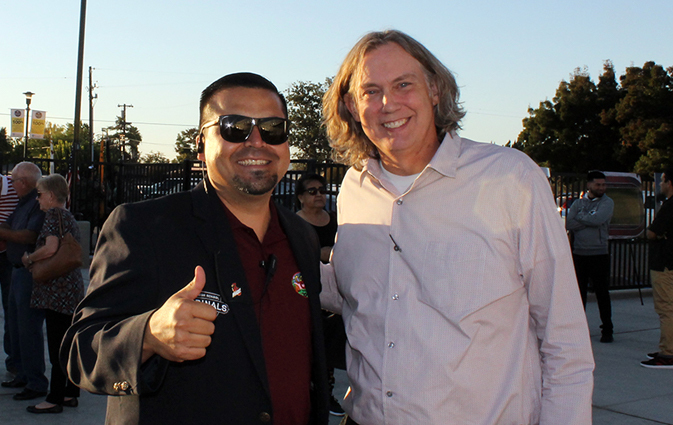 Roberto Vaca (Orosi High School Principal) and Robert Thornton (TETER Partner).